Home / StarTrek / Why Spock is the Best Vulcan in "Star Trek"
Q: Who was the best representation of a Vulcan in the entire Star Trek Universe, bearing in mind their qualities as a species?" A: I know it sounds trite but the answer is Spock, not just because he's the most prominent Vulcan but because the entire species was designed around him. That's because the second-in-command (Majel Barrett) was supposed to be the cold and logical one while Spock would be her counter-balance as the enthusiastic and emotional one. When her Number One character was cut, her logical nature was given to Spock, instead. 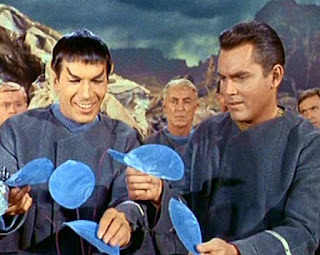 The idea of Vulcans being green-blooded also came later because there were concerns Spock's red skin would look black on black-and-white TVs that were more common at the time. That's the way the entire Vulcan race was defined: as changes made to accommodate Spock's character. Another example is the Vulcan nerve pinch, which was developed because Leonard Nimoy objected to a scene in "The Enemy Within" where he was supposed to punch Kirk. He thought that was too undignified for a Vulcan, so he came up with the nerve pinch instead. 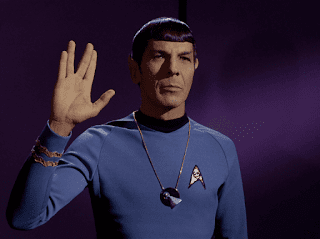 Nimoy also came up with the Vulcan salute from an old Jewish ritual. 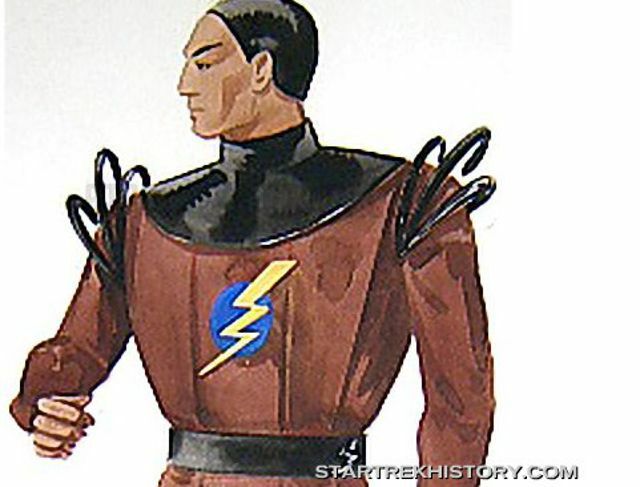 By the time we saw other Vulcans on the original series for the first time in "Amok Time," they were all based on Spock's appearance and mannerisms. TL:DR: Spock defined the Vulcan species, not the other way around. What do you think of Spock? That's a good answer. In Harlan Ellison's script for City on the Edge of Forever he talks about how the network wanted Spock to look more human and even had flyers showing Spock with human ears and pinker skin before season 2. Ellison and fans protested the changes to keep Spock as is.